Studies on short term exposure to radio-frequency (RF) energy have shown little to no evidence that the levels used in cellular transmissions can lead to the development of cancer. Even at substantially higher levels, only a few laboratory tests have reported a possible correlation between cancer and RF safety levels in test animals, but these tests have failed with attempts at confirmation. Some of these studies have shown “clusters” of cancer cases in areas near cell towers. Critics counter that these cases are of many various kinds of cancer, and it is highly unlikely that they share a common cause. Further, with the sheer number of cell towers in use, statistics suggest that finding such clusters by chance is inevitable. Many experts, including the American Cancer Society, say that there is little theoretical reason to believe that RF exposure can lead to cancer, and similar non-thermal effects. The concern is that since cell phones are a relatively new technology, not enough time has elapsed for long-term studies to show viable results. Several organizations have taken a cautionary stance on RF safety until long-term effects can be conclusively determined. The International Association of Fire Fighters (IAFF) adopted a resolution to oppose the installation of base station antennas on any Firehouses in 1994, citing several studies showing possible health risks from RF exposure. However, many of these studies were conducted at levels much higher than used in cellular transmissions, or otherwise focused on mobile and cordless phones themselves, not cellular base stations. Following recent movements in various countries to enact recommendations about RF safety against excessive cell phone use by minors, many have also started to call against base stations being erected on top of schools. Often, their reasons are focused on potential risks of cell phone use, rather than those concerning the base stations themselves. It is important to remember that many of the concerns over mobile phones usage stem from the fact that they beam RF energy to a targeted portion of the head. Since base stations radiate their energy outward, there is no such hotspot of exposure. Some observers note that broadcast antennas (which operate at much higher levels than cell towers) have failed to show any long term health risks, despite being around for well over fifty years. Studies on RF energy have been ongoing for decades. The results of many of the earlier reports affected the guidelines that were eventually adopted by the FCC and other governmental agencies in other countries. Studies relating to cell tower base stations, however, have been infrequent, largely due to the difficulty in accurately determining individuals’ levels of RF exposure. A commonly cited questionnaire from 2003 suffered from this very problem. Participants joined voluntarily, after being notified of the survey through press, radio and web sites. Questions included age, gender, symptoms, and the participant’s estimated distance from base stations. Those living more than 300 meters away were considered a reference group. To specifically address this issue, some studies attempt to replicate base station exposure in a lab environment. One such 2006 study subjected a total of 117 healthy subjects (33 who identified themselves as sensitive to RF radiation, and 84 who were non- sensitive) to Base Station-like exposure. The double blind sessions were held at 1-week intervals, and held at the same time of day each session. The study found no correlation for RF safety between well-being and perceived strength with the actual exposure level. In general, the sensitive subjects reported more health problems and perceived higher field strength in all conditions. At 10 V/m, the speed performance for one of six tasks slowed for the sensitive subjects, while accuracy was affected in a separate task for the non-sensitive group. However, both effects disappeared after multiple end point adjustments were made, which suggested that the effects were due to chance. Most other commonly cited studies have focused on mobile phones, themselves. While the results have been inconclusive and mixed, their significance to Base Station risks themselves is limited, as mobile phones produce a much more targeted radiation, affecting a specific portion of the body directly, and at close range. Despite these differences, such studies are often held up as examples of research demonstrating possible health hazards from cell towers. Confusing the issue further are concerns centering on power lines and the magnetic fields they produce. Although some studies have suggested increased rates in childhood leukemia near power lines, the Electromagnetic Fields (or EMF) they produce work in fundamentally different ways from RF energy emitting sources, such as base stations, as they do not produce non-ionizing radiation, and do not continue to exist once the power is cut. An example of the frequent conflation of these different sources of radiation is revealed in the recently released BioInitiative Report, issued by the BioInitiative Working Group, a collection of scientists, researchers and public health policy professionals. It concluded that through errors in sampling bias, misinterpretation of data, and funding bias that many of the studies were flawed, while simultaneously pointing to other studies that had drawn possible links to non-thermal health risks. The report makes little delineation between EMF and RF energy, stringing together sections dealing with one or the other without making clear reference to the differences, and suggesting findings concerning one are relevant to the other. Several organizations (including those operating at the request of various governments) responded to the report and determined that it neither introduced new evidence, nor supported its claims with demonstrable science. These responses are compiled in a Viewpoint by the Mobile Manufacturer’s Forum. The viewpoint also noted that since the Report was released in late 2007, it has not led to the revision of any of the established safety guidelines used by various nations. The current consensus of the scientific community is that short term studies have found little evidence to suggest possible dangers to human health from cellular base stations. However, for risks such as cancer, significant long term studies (of ten years or more) must be performed before any definitive conclusions can be drawn about RF safety. Be that as it may, it is important to understand the differences between various sources of radiation, and the findings concerning them. Risks associated with mobile phones do not necessarily extend to Base Stations, and risks from the EMF of power lines are unrelated entirely. For the purpose of short term exposure, the scientific community holds a consensus that the RF energy emitted by base stations is safe as long as it follows guidelines set by regulatory bodies, such as the FCC. 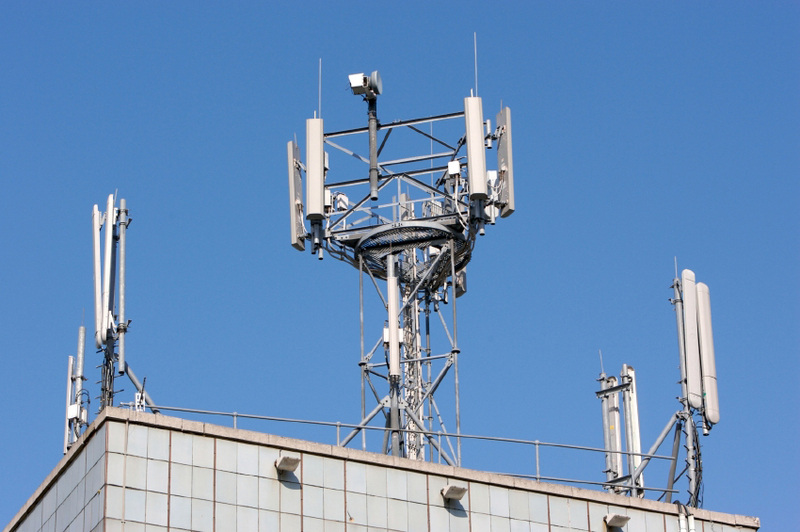 There are regulatory requirements that building owners with cell site leases should be aware of and concerned with. Our partner, Cell Tower Attorney, can help building owners considering leasing space or have already leased space to a wireless carrier.